Silicon Valley Clean Water’s (SVCW) Regional Environmental Sewer Conveyance Upgrade (RESCU) program is paving the way for the future of wastewater management and capital improvement upgrades using Microsoft’s collaborative tools and other contemporary technology for its complex and innovative approach to project delivery. The RESCU program is a $495 million capital improvement upgrade that incorporates in excess of 50 construction and consulting companies, five methods of funding and includes 11 projects that constitute full replacement and rehabilitation of SVCW’s conveyance system originally built 45 years ago. 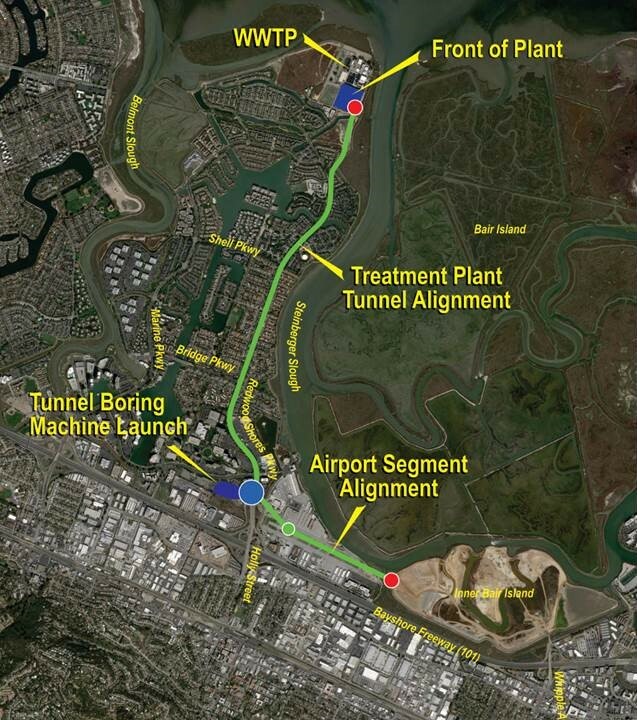 It represents the first progressive design-build (PDB) tunneling project in the United States spanning inland 3.3 miles from the San Francisco Bay. This unique approach is necessary to ensure that “the project is executed in the most cost-effective and time-efficient way, with the least amount of impact on this community,” said Teresa Herrera, Manager of the Silicon Valley Clean Water RESCU Program. A unique aspect of RESCU is the co-location of various team members from a myriad of companies. This poses an interesting challenge in how to enable necessary collaboration. The seamless communication between various teams for this complex construction program is made possible with the utilization of Microsoft Teams collaborative technology implemented by Microsoft Partner, Nexinite. RESCU will establish a new standard for the future of wastewater infrastructure and create a new imperative role for IT solutions within construction projects of this magnitude throughout all industries. Other cutting-edge technology, such as virtual reality, for design reviews will be used over the life of this program. With the hopeful addition of Augmented Reality, these futuristic tools will allow the team of builders to not only see what has been constructed, but also what will be added in the future, giving the team the foresight to anticipate upcoming challenges and solutions. The RESCU program is vital to ensuring that the surrounding communities will have a reliable sewer conveyance system for decades to come. Members of the community working on the program are proud to have a hand in improving the public’s health and safety. “I’ve lived in the service area for over 20 years now and am very happy and proud to be part of this organization that is supporting our community, my community,” says Mark Minkowski, RESCU Program Manager.